Setting up an iPhone is easy and can be completed in a couple of minutes. Below are instructions to complete this setup for specifically for an iPhone 4s. Other configurations for Apple devices may not look exactly like the process below, but will be similar enough to provide the guidance that you need. If you run into any issues with configuration due to your internet service provider or firewall, please contact us by phone, email or submit an online support request. We normally have you up and running in just a few minutes. 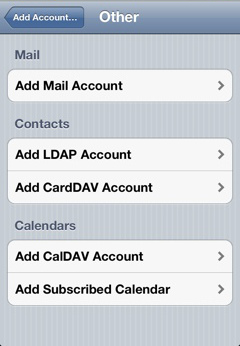 Goto Settings | Mail, Contacts, Calendars and select Add Mail Account.... Select Other to continue. Complete the New Account screen with the information about your account. Select Next when ready. 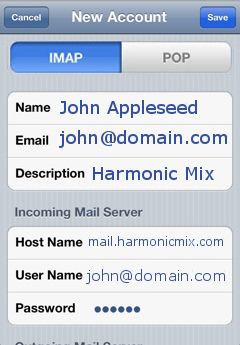 Select IMAP (recommended) or POP. 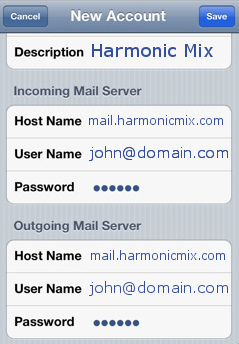 Complete the Incoming Mail Server section. 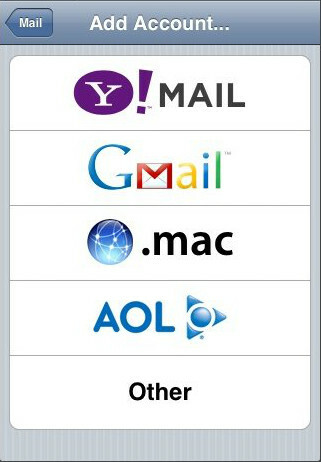 Be sure to use your complete email address for your User Name. 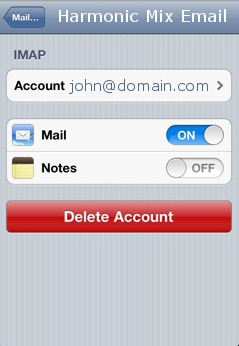 Complete the Outgoing Mail Server section with the same information. Select Next when complete. 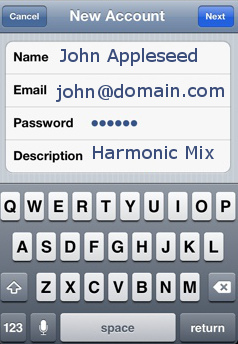 This will then verify your account against the Harmonic Mix mail server. 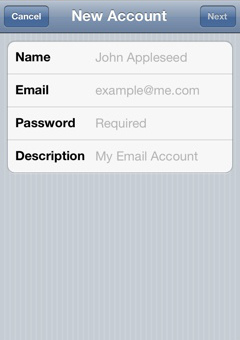 Once successful, you are ready to start sending and receiving email on your iPhone.